Do you suffer from stress or symptoms associated with stress such as high blood pressure or increased heart rate, sleeping problems or depression? Do you feel that things are overwhelming or sometimes too much? Are you suffering from burnout or anxiety? Or are you simply looking for a little bit of rest and balance in your hectic life? 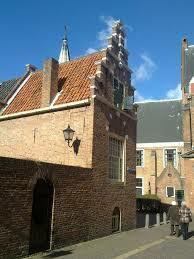 Then try our 8-week mindfulness training (MBSR) in the Mindfulness Center Haarlem. Mindfulness Based Stress Reduction (MBSR) is a specific skills training which is scientifically proven to be effective and efficient for stress and pain relief. It is based on the original concept of MBSR (Mindfulness Based Stress Reduction) developed by Dr. Jon Kabat-Zinn, which he launched at the University of Massachusetts Medical School in 1979. Since that time, thousands of studies have documented the physical and mental health benefits of mindfulness in general and MBSR in particular, inspiring countless programs to adapt the MBSR model for schools, prisons, hospitals, veterans centers, and beyond. By learning various meditation techniques you will be able to recognize your own automatic behavior patterns, your physical status quo and sensations, your emotions, your attitudes as well as your judgmental thoughts. In practice this means that you become more aware of thoughts, bodily sensations, emotions, feelings, and behavioral patterns as well as beliefs, values or (ineffective or judgmental) thoughts. This allows you to become aware of and catch (stress-) stimuli earlier. Based on this you can interrupt stress cycles before they get out control. You also learn to pay attention consciously on the present moment: with the training all thoughts or memories about the past or future plans are released.The result is that you experience high attention on everything that is happening at that particular moment. So, you can be fully present while playing with your children, or listen to singing birds singing when you step out the door in the morning. With this training you can create a higher degree of awareness and increase self-confidence. You also learn to de-stress, releasing more energy and zest for life. Why does it takes 8 weeks training to get there? With any training you need to build up new skills. At the beginning we start with getting familiar with the available tools within your own brain-body-system and start training them. As soon you have reached a specific level we move on and tackle more challenging topics. At the end we focus on the implementation and how to maintain those new skills for the future. Besides the 8 lessons, you generally need to invest 45 minutes training on a daily basis. The trainers will also provide you with small homework exercises to gather more insights on your own way of thinking and managing stressful situations. How does a group training work? We work in small groups with a maximum of 8 participants. From our experience this guarantees high quality for every participant as well as the necessary customized approach within a group. The weekly sessions are 2,5 hours long. During his time we work with various meditation techniques, group exchanges as well as theoretical background and studies. The most effective part within this format is the aspect of “learning from each other”. You will be surprised how much we struggle with similar issues, although we all have a completely different history and background. Why do I have to do meditation? We use various meditation techniques to train your brain and your awareness in a specific way. Generally the techniques are experienced as an extremely high concentration training at first. Relaxation at the beginning is actually more of a side-effect. The longer you train the more you will be able to maintain the benefits and most participants experience more and more relaxation in the long term, even during short exercises or meditation sessions. Don’t worry we have many practical awareness exercises you can use during your daily tasks and work- even during the busiest times of your day. The answer is simple – everyone can find something value with this technique, but especially for people who want to live their lives in a different way, and to become more aware of who you are. Mindfulness provides a “different and new” way of looking at yourself but also the rest of the world. You learn, for example, to become less judgemental, less hard on yourself and more aware of your surroundings. The mindfulness training will be given by Alexandra Pils. – your current life situation and challenges. At the end of this meeting you finally can decide whether you would like to join the training or not.